Kamchatka is a land of contrasts, very different from ﻿Central Russia﻿. This is a land of volcanoes and glaciers, hot springs and boiling geysers, swift rivers, lakes and waterfalls. There are 414 glaciers and 160 volcanoes here, 29 of them are active. 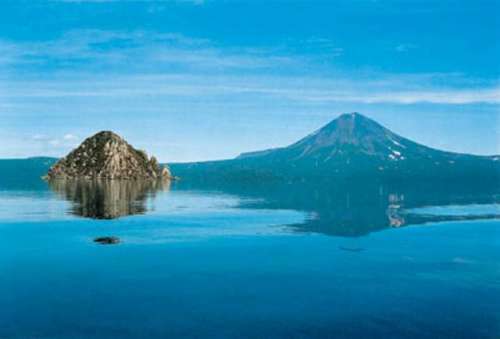 The territory of the Kamchatka region is the Kamchatka Peninsula and the surrounding northern mainland, as well as the Commander and Karaginsky island. The peninsula is bordered by the west of the Sea of Okhotsk, in the north-east — the Bering Sea, and Pacific Ocean to the southeast. 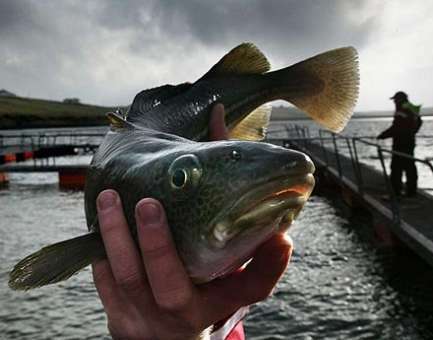 These seas are cold, storms, ice on them kept for 7-8 months a year. The main types of leisure: active tours, adventure tourism, tours, boating (rafting, boating, scuba diving), eco-tourism, skiing and mountaineering tours, hunting and fishing, helicopter and snowmobile tours, heli-ski. The difference with Moscow time: 8 hours ahead. Regional center: Petropavlovsk-Kamchatsky. Major Cities: Yelizovo and Vilyuchinsk. 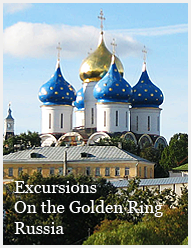 Main attractions: national parks, volcanoes, geysers, flora and fauna. Regular flights from Moscow, St. Petersburg, Vladivostok, Khabarovsk, Novosibirsk, Krasnoyarsk, Magadan and Irkutsk, Kemerovo, Rostov-on-Don and Krasnodar. The airport is located in the town of Yelizovo (30 km from Petropavlovsk-Kamchatsky). 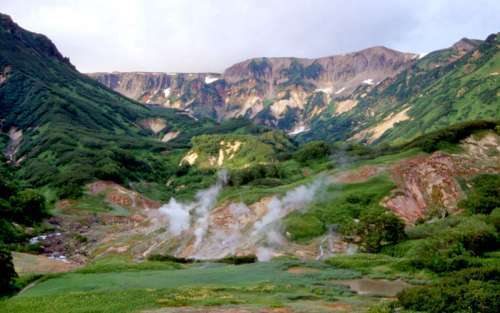 The climate of Kamchatka is very unusual and very different in different parts of the peninsula. On the coast there is a long warm snowy winter, late spring (there is often snow until May), warm summer and autumn is sunny and beautiful thanks to the bright foliage of trees. 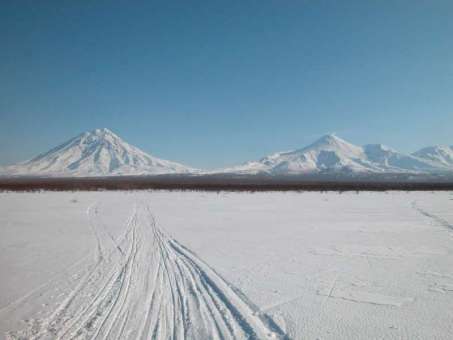 In the central part of Kamchatka is harsh continental climate: cold in winter reaches -40 … -45 ° C, and the short summer in the July heat reaches +35 … +40 ° C.
On the peninsula is 274 source with mineral waters. One of the most popular places is spa resort Paratunka. This is a suburban area with spas, health resorts and numerous recreation and open the hot thermal pools, existing even in the winter. Active volcanoes of Kamchatka go to heaven with its white tops. At the foot of volcanoes live wild animals and nesting birds, and there are hardened lava and eternal glaciers on the slopes. Dormant volcanoes is a beautiful spectacle. 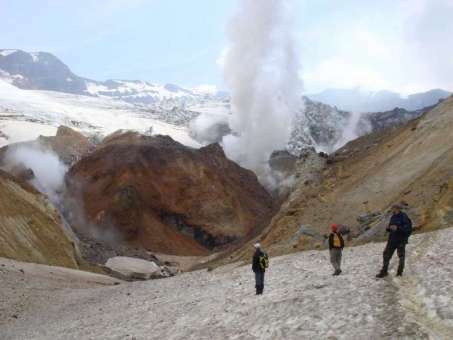 In climbing the volcanoes can participate physically healthy people with experienced guides, in the special shoes, a helmet, and training in walking on glaciers. Ascents is best to perform from March to October. 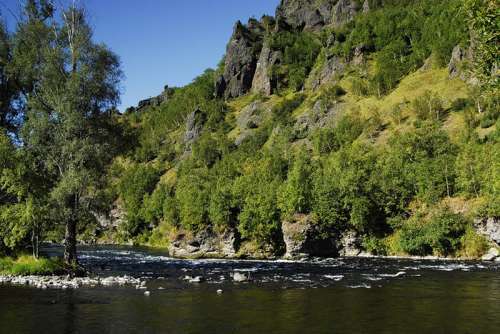 The most popular for the rafting are Fast (Malkinskaya) river, Left Avacha, Opala, river Plotnikov and river Pymta. The most suitable time for rafting on the Kamchatka Peninsula is from mid-May to mid-October. 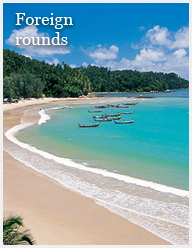 Also we can offer you boating in the Pacific Ocean. You can take a trip on a boat on the bay Avachinskaya with the observation of natural monument — a rock «Three Brothers», swim in the open Pacific Ocean to the island Starichkov. Near the island Starichkov located places where seals and bird colonies live. If you're lucky, you'll see orcas in the open ocean! Brown bear is one of the largest species of bears, and his number on the Kamchatka Peninsula ranges from 10 000 to 20 000 individuals. Hunting bears usually occurs in spring and autumn. The pride of any hunter is a bighorn sheep trophy, hunting of which requires a fair amount of physical training, experience, and sometimes just luck. Kamchatka snow sheep divided into two subspecies — the Kamchatka bighorn sheep and Koryak snow sheep. Sport hunting for bighorn sheep is open from August to November. Hunting of elk is allowed from autumn to mid winter, and hunting of polar wolf, reindeer, lynx and wolverine is not popular because of the small number of populations and remote places of hunting. Shooting of stone grouse, a rare and beautiful bird, allowed only in one week in May.